Anderson Edtech: 2018 #FallCUE: Now I Can Sleep! 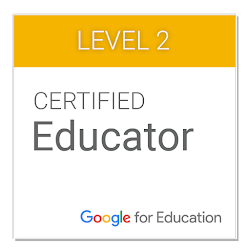 Thoughts from the life of Kyle Anderson, experienced educator, Level 1 & 2 Google Certified Educator, Pear Deck Certified Coach, with tips, tricks, rants, and wisecracks about life, education, politics, and just about anything in between! The views and opinions of the author are his and his alone and do not reflect the views of any organization, school district, school, etc. 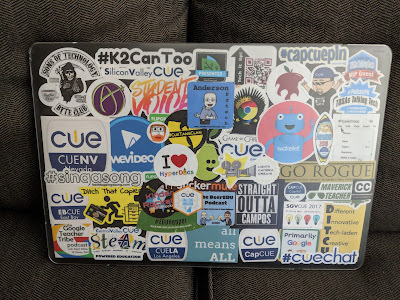 2018 #FallCUE: Now I Can Sleep! Last weekend, I had the privilege of attending the Fall CUE Conference in American Canyon, CA. For those uninitiated, Fall CUE is a smaller version of CUE's Spring Conference hosted every year at the entrance to Napa Wine Country, with hundreds of great presentations, vendors, and hundreds of awesome educhampions (more on this in a bit!). I had attended this conference previously in 2016 but missed last year's event. I was very happy to return to the event this year, with much less time spent traveling now that I am only about 3 hours away from Napa. It took me a week to fully recover and reflect, so here goes! Get ready world, Joe and I are about to be unleashed! Anymore, whenever I go to a training or conference, I'm looking more for the networking aspect of the event. This doesn't mean that I don't go to sessions or put less emphasis on sessions, but I always learn so much from simple interactions with people that I have grown to know and befriend, as well as meeting new people and learning their take on things. Fall CUE was no different right from the start. After picking up my conference badge and checking into my Airbnb, I headed to a pre-conference meet-up with other CUE leaders. It was great to see so many of the people that have inspired me over the years, such as Brian Briggs, Ben Cogswell, Matt Miller, Ryan O'Donnell, Kristina Mattis, Nicole Beardsley, Misty Kluesner, Ann Kozma, and so many more. It was also a pleasure to meet some others that I have interacted with on social media but never had the chance to meet in real life, like Joe Clark, Jay Sorenson, Adnan Iftekhar, and Burt Lo. And I am just going to go on the record now and warn the world: Joe Marquez and I were scheming some things, look out in the next few months for an epic collaboration between the two of us! And how did this scheming take place? A digital relationship that turned into a face-to-face relationship about a year ago and now is going to grow an amazing collaboration! This time around, I went to sessions that I either did not have a solid background or had no background. Hyperdocs was one of those sessions. Now, before you judge, it's not that I haven't tried to get on the bandwagon. I have gone to sessions at no less than four events on hyperdocs. From that experience, I can give you a great Wikipedia worthy definition of what a hyperdoc is supposed to be, but I never felt that I could truly design one the way that it should be done. This is not a knock on the presenters of the sessions, this is more of a knock on myself for not trying it out immediately after the session. So this time, I vowed when I saw an extended two and a half hour session on hyperdocs, this was going to be it! 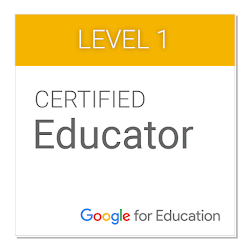 I am happy to report that I feel that I can finally build and implement hyperdocs in my classroom, and I owe all of that to a tremendous husband and wife presentation team in Eduardo and Ruby Rivera of Palm Springs. Rather than presenting a session on what it is, handing over some templates and giving the attendees the reigns, they built a session that was a hyperdoc WITHIN a hyperdoc. The session not only showed how it worked while in a hyperdoc, but it incorporated collaborative activities that grouped attendees. Since it was a small session, maybe 10-12 people, there was a lot of one-on-one interaction with Eduardo and Ruby as well. Not only am I better prepared to build hyperdocs, but now I am considering creating a presentation in the future in hyperdoc format! My expertise in green-screening was limited to my daughter's kindergarten class last year where her teacher did activities in her class using a green bolt of fabric from Joann's and the Doink app for iPad. So, I decided to attend a session on green-screening, something that I have been aware of for a long time, but honestly, just did not know where to begin. I also was convinced to go after meeting the presenter on Friday evening, Ali Deguia-Bumgarner; she told me it was going to be great, and who am I to question that? Ali did a great job of demonstrating the materials that can be used (a green tablecloth from the dollar store! ), a variety of apps besides Doink, and showed a multitude of examples of projects that she has done with her students. We even did a short video in the session that was reminiscent of an improv show where we shouted out a few things to build a story! While I still feel that I need to do some tinkering and looking around, I am a lot further along than I was prior to Ali's session! CUE has changed their membership structure to where now you don't have to pay to be a member if you don't want to; however, for the original membership fee of $40/year, you get access to a variety of perks, such as discounts on events, voting rights for board and policy elections, and as they offered at Fall CUE, discounted books! There are a ton of books that I have always intended to buy, they were in my Amazon cart, but just never got around to buying them. My excuse was out the window when books that typically went for $20-30 were on sale for $10! I couldn't resist picking up Lead Like a Pirate by Beth Houf and Shelley Burgess, Shake Up Learning by Kasey Bell, Make Learning Magical by Tisha Richmond, and Kids Deserve It! by Adam Welcome and Todd Nesloney. I also scooped up a copy of The Hyperdoc Handbook by Lisa Highfill, Sarah Landis, and Kelly Hilton (this one was not part of the $10 deal, but now that I feel comfortable with designing, I thought a book from the creators would be a great guide to build great hyperdocs!). Based simply on my book purchases, I have essentially paid for my CUE membership for the year. So if you are a CUE member and have not paid for a premium membership yet, I highly recommend that you do! 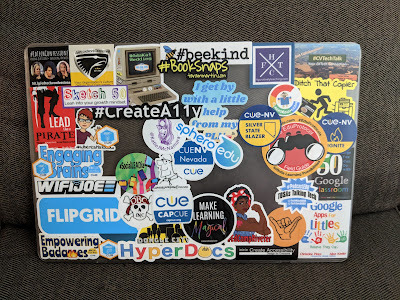 What do you get when you combine hundreds of educational technology geeks at a conference with bags of self-created stickers? The #supermuch Sticker Swap during lunch! 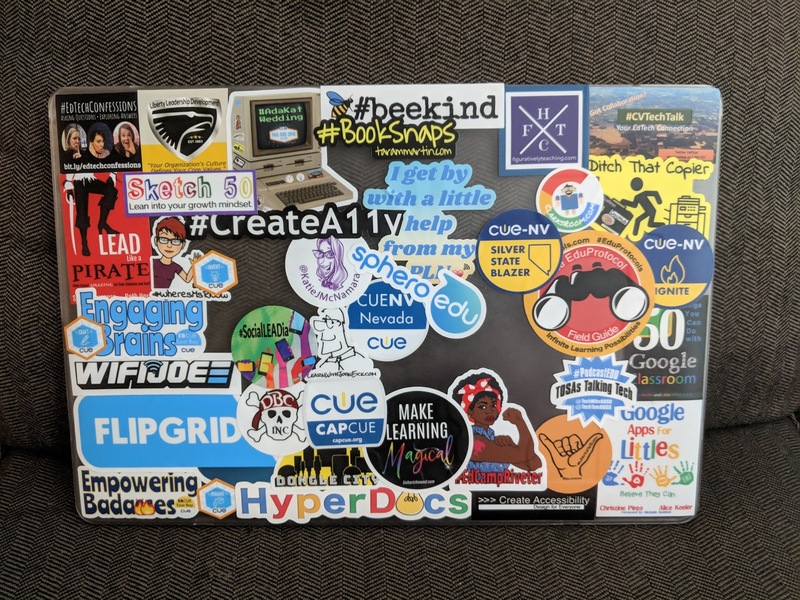 We teacher are very serious about our stickers and decorating our devices, I even went as a far as ordering a cover for my laptop because mine was almost full of stickers before the exchange (and my laptop cover is now full too, guess it's time to buy another cover!) 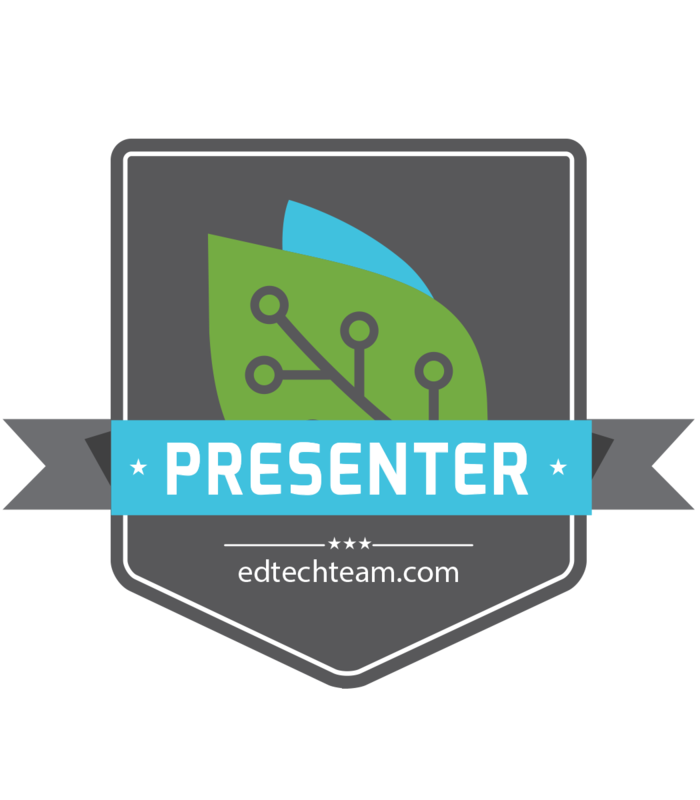 I showed up with my AndersonEdTech blog stickers and The BeerEDU Podcast stickers. I was blown away to hear from several people, many of whom I had never met, say that they had heard the podcast and that they were enjoying it and were happy to meet one of the faces of the voices. While our download numbers are good, I never expected that kind of a response; it makes Ben and I have to keep creating great content to meet the expectations of those listening (and we appreciate the love and feedback, keep it coming! this is my laptop before the sticker exchange. have more stickers left over, time for another case! The happy couple along with their families, and the CUE Championship belt! The end of the day on Saturday, perhaps one of the coolest things I have ever seen at a conference took place with the #adakat wedding! Adam Juarez and Kat Goyette met via Twitter, developed a relationship in real life, and were married in a family ceremony the week before Fall CUE. 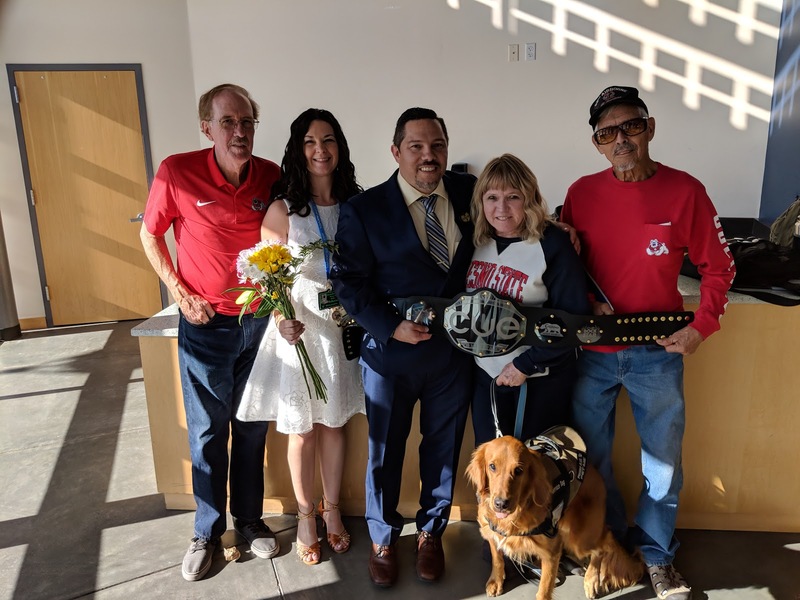 However, because of the impact CUE and educational technology has had on their lives and their love for one another, it only made sense to have a second ceremony as a session at the end of Saturday's festivities. 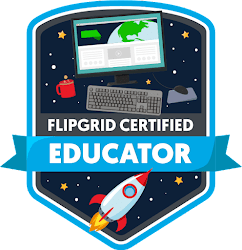 Jon Corippo officiated a humorous edtech-laden ceremony, complete with a "How well do you know Adam and Kat?" Quizizz. Adam and Kat's parents made the trip to Napa for the event, and it was a pleasure to meet Kat's father and see Adam's parents again. I have met Adam's parents before, and his mother treats me like a son whenever I am around, and it was very nice to see them again. Luckily, I get to see them again soon, as I will be heading to the Tulare County Tech Rodeo again this January. Saturday night was more networking, with a quick trip to Napa Smith Brewing Company for the East Bay CUE BrewCUE. Laurie Wong told me that since I was at Fall CUE without a large contingent of my own CUE-NV affiliate, I was essentially a man without a country and had to join their affiliate for the weekend; I happily obliged and had a great time before heading to Napa for Adam and Kat's reception at Downtown Joe's. After further networking and fun in Napa, it was back to American Canyon for several hours of networking at Junction Brewery before sleep and another full day of learning on Sunday! I have presented at dozens of events, but I had never presented at an event as large as Fall CUE. Part of me kept telling myself, "It's just a session, you've done this session before, you'll be fine." Another part of me was saying, "This is kind of a big deal, don't screw it up." 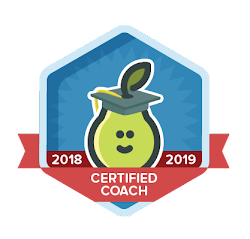 I spent the hour before my session making sure that everything was set with my presentation, backed it up in case the Internet failed me, and double checked that I had my Pear Deck stickers and that the links to the free premium subscriptions worked. My worry was for naught, as not only did nearly 50 eager attendees show up FOR THE LAST SESSION of the conference, but Randall Sampson and April Buege came to learn and support. I actually felt better after that session than I had after other times I have presented. 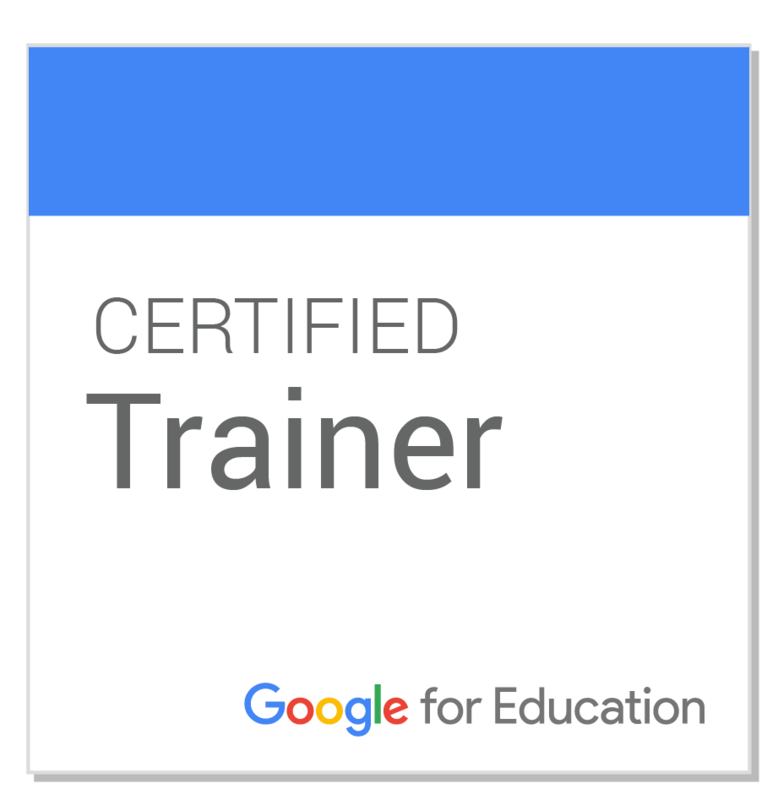 I asked attendees to fill out a feedback form and it was overwhelming positive (I need to apply for Google Certified Trainer again, I will certainly be using the feedback from that session!). This may have been the official birth of #CUEBald! 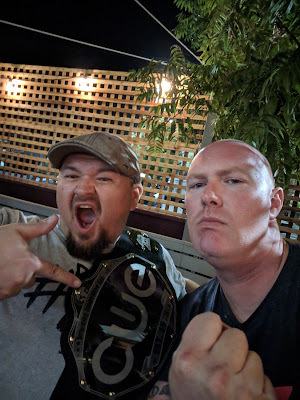 Besides the collaboration that was planted between Joe Marquez and me, two more developments occurred during Fall CUE that I look forward to the continuation of the championship belt at the organizational level and the birth of #CUEBald! Randall Sampson brought the championship belt to the Silver State Technology Conference, and it was a big hit; it was an even bigger hit at Fall CUE! The belt will be making its appearance at Spring CUE and other affiliate events from now on! Check out some of the amazing pictures of champions with the belt throughout the weekend here! As for #CUEBald, this was born out of a group of follically-challenged gentlemen talking throughout the conference about having our own hashtag and t-shirts. 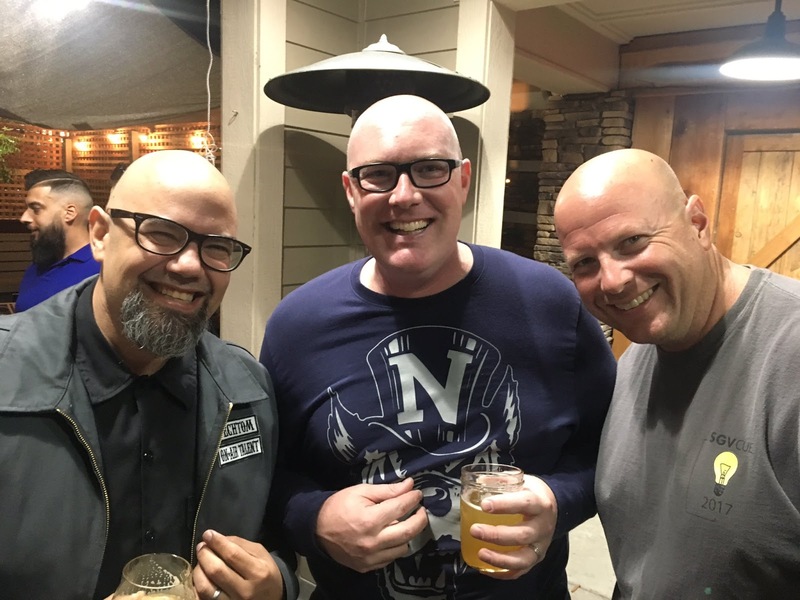 I am happy to report that ideas are being exchanged and there will be t-shirts for the bald brethren in Palm Springs, more details to come! What is Your Philosophy of Teaching & Learning? Five Chrome Extensions You Must Have! Au Revoir 2018, Bonjour 2019! More #ChromeExtensions to Simplify Your Day! 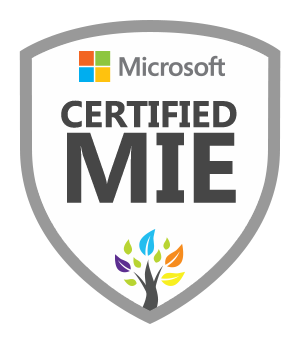 www.andersonedtech.net. Simple theme. Powered by Blogger.